Celebrate from Huntsville to Mobile. 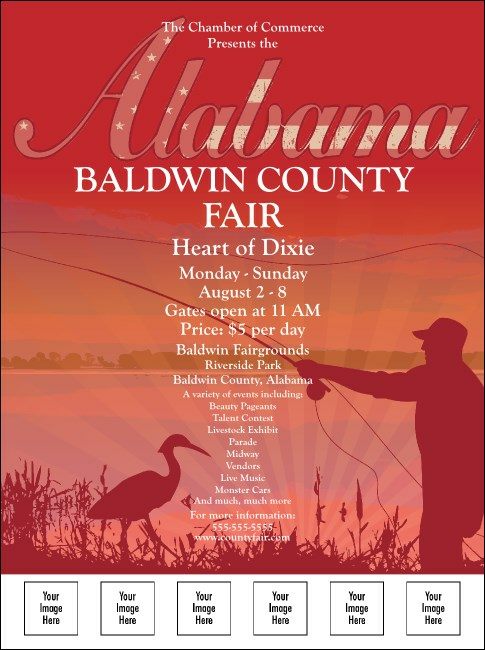 Barbecue or fundraiser, no matter the event the Alabama Flyer is the right choice! Printed in red this flyer features, a sunrise scene with a fisherman and a crane. Each flyer has six spaces for your custom images. Planning a party in another state, check out the State Event Kits from TicketPrinting.com.